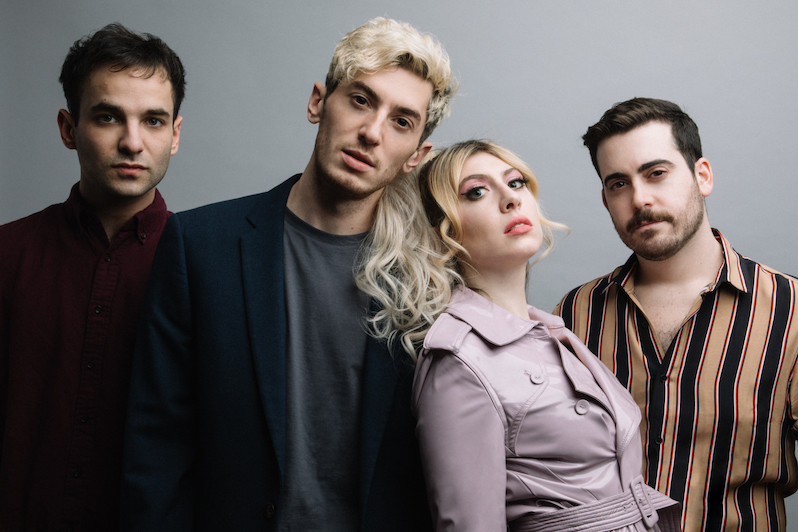 Charly Bliss are second to none at packaging doubt, anxiety and anguish into an infectious sugar-high of a power pop song, and “Hard to Believe” is no exception. Where the previous two singles from their upcoming album Young Enough had a bigger production sound defined by a heavy presence of synths, “Hard to Believe” is the kind of direct-injection of peppy alt-rock that made their debut album Guppy so delightful, even when mired in some painful personal moments. “Hard to Believe” has a similar sense of giddy catharsis, vocalist Eva Hendricks trying unsuccessfully to extract herself from a toxic partner amid some of their most fun guitar rock. “I can’t accept that you’re leaving,” she sings, only to follow it up with, “I can’t pretend that I need it.” And yet, it’s one of the catchiest songs the band’s written, offering a peculiar paradox, one inherent to the song’s underlying narrative: Sometimes what’s wrong can have the illusion of feeling so right. From Young Enough, out May 10 via Barsuk.